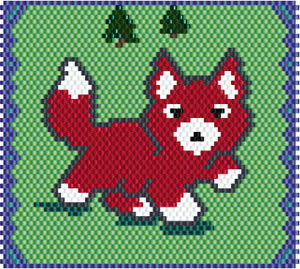 This youthful fox will prance into your heart when he is stitched with Delica Beads. Add straps and a backing to create an amulet bag. Add backing and a frame for a beaded picture. Created by Sarah Davis of Beadcoop and Sarah's Beading Obsession.